This was the central round for my entire trip. 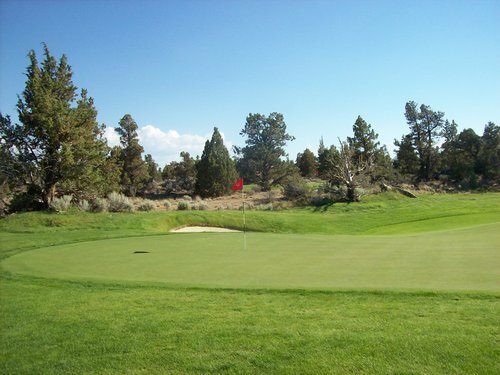 On most any ranking list I see, numbers one and two in the Central Oregon region are generally Crosswater at Sunriver and Pronghorn’s Nicklaus Course (the Fazio Course is private, so I’m speaking of public play tracks, of course). 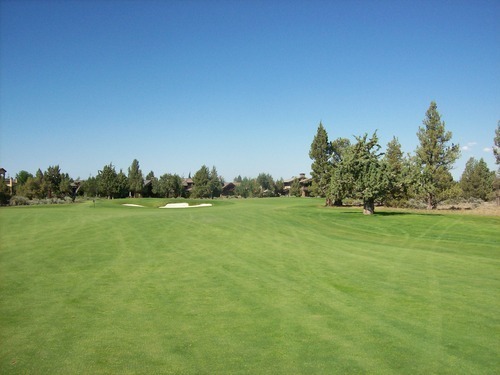 They are considered two of the biggest jewels in the Bend area that’s so rich with incredible golf options. 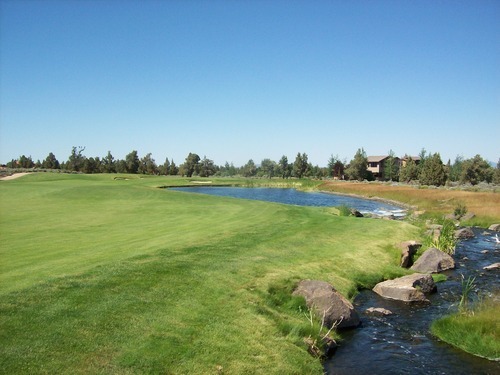 Crosswater requires a stay at the Sunriver Resort and I definitely will be planning another trip around that sometime in the future when the timing (and the price) is right. So, I decided to make Pronghorn and Tetherow (tomorrow) the main events on this particular trip. Still, I sought out the best possible deal for me and my brother, who came down from Portland to join me for a few of the rounds I have scheduled. I booked a 2:50 time here. Everything after 2:30 is reduced pricing and also no forecaddie is required, so it was the right deal. It ended up being $125 each, which is still steep, but not bad compared to their normal $200-level rates during prime time in this, the peak season in Bend. We got there around 2:00 and it was pretty hot out in the mid-90s. 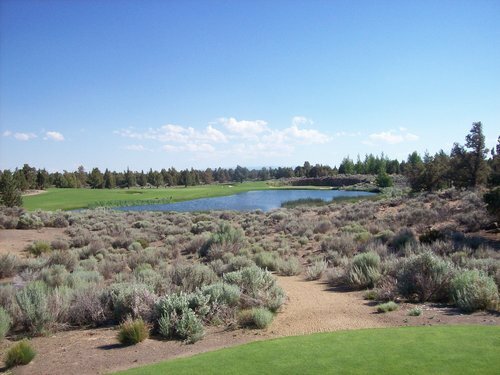 This course is really out in the middle of nowhere in a desolate part of the high desert a bit northeast of Bend. It really wasn’t too crowded, so they let us head out a little earlier around 2:30 by ourselves. We never had anyone come up behind us and we never saw the group ahead after the first few holes, so we set our own relaxed pace. 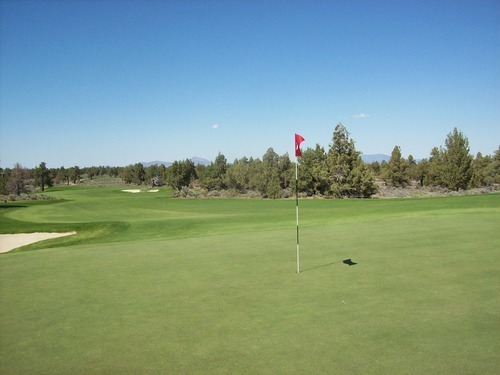 The facilities here are very nice, with great practice areas and a beautiful clubhouse with all sorts of amenities for both guests and the wealthy members frequenting the other course. They came out immediately after we pulled in the parking lot to grab our bags and welcome us, then everyone there was very helpful as we tried to figure out where to go. They definitely put off a very high-end feel here. The starter made sure we had all our yardage books, pin sheets and plenty of cold water bottles for our cooler. He helped us pick the right tees, which happened to be the forward golds since my brother isn’t too good a player and we didn’t want to spend all day wandering through the desert looking for stray balls. “Desert” is the operative word here. 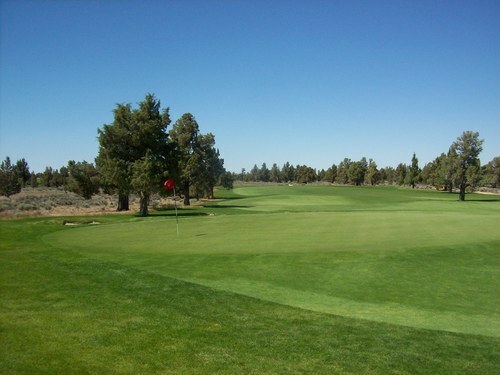 When you think Oregon, you might not think desert landscape, but Pronghorn is about as rugged as they come and definitely offers a true desert style golf experience like you might find in Arizona, Nevada or Utah. 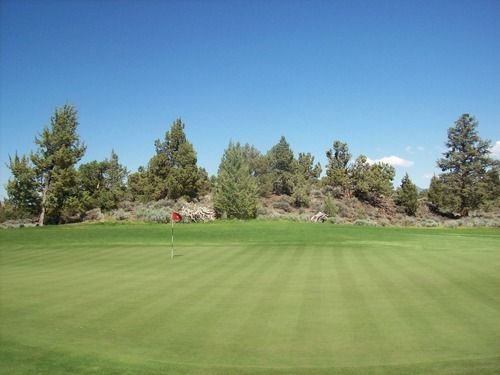 They have individualized tee boxes that are perfectly cut ovals of pristine grass surrounded by desert rocks, sands, bushes and trees. 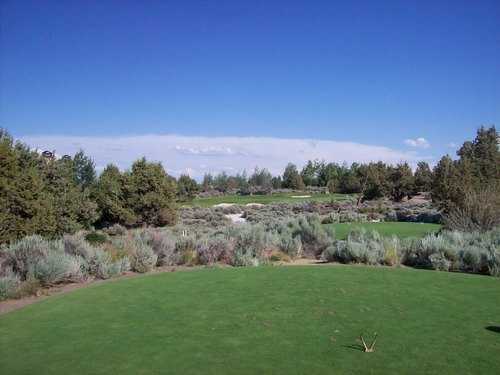 Then, many holes use the natural landscape for aesthetic and challenging touches with large rock outcroppings, crusty old trees and waste areas coming into play quite a bit. With all the hype and the lofty price, I found myself a little underwhelmed on the front nine. It’s a nice layout with great conditioning, but I wasn’t too blown away by any aspects of it. 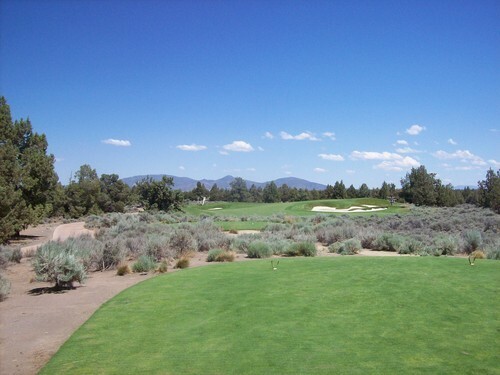 However, from the 12th hole on, I really found myself loving the course and enjoying that great back nine stretch of holes—particularly 12, 13 and 15. 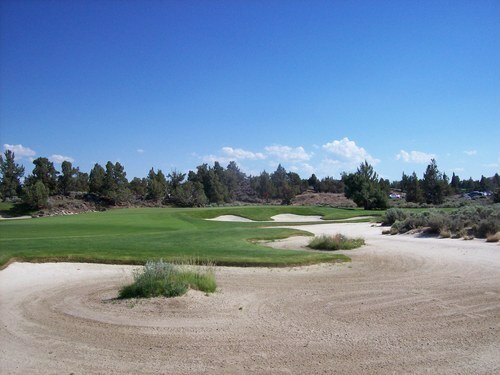 The 12th is a short little hole with a tight landing area off the tee and then an elevated green that’s not very deep. It really takes two smart and precise shots to take advantage of it. The 13th is the signature hole here. It’s not very long and quite short as the crow flies tee to green, but between the two is a massive lake. 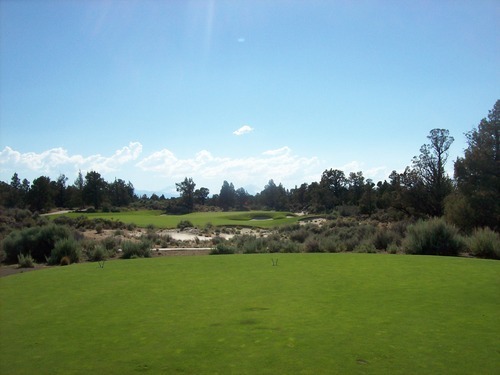 The fairway wraps around the left of the water and entices you to bite off as much as possible for a fun risk/reward scenario. 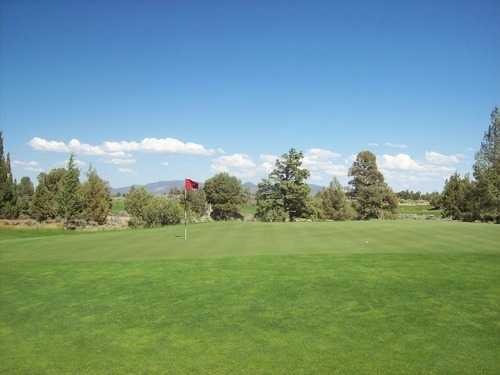 Then, the green is backed by a neat rock face with waterfalls coming off the side. 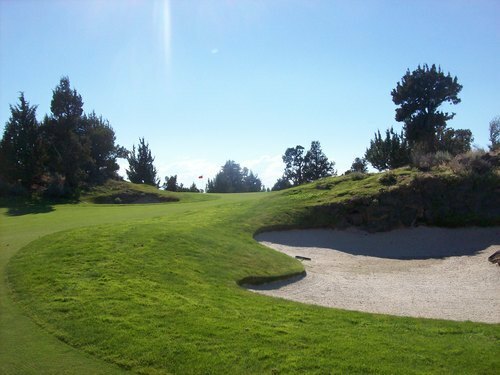 There’s a big bunker between the green and that rock wall, so long is definitely better to miss long than short if you are being aggressive. 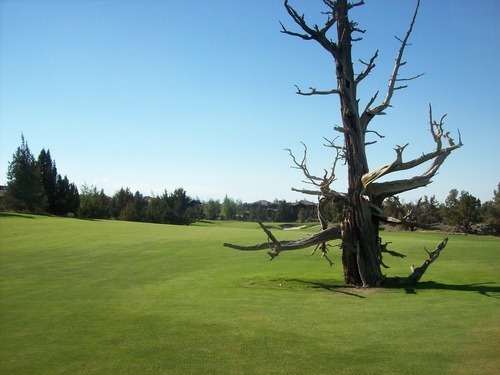 The 15th was my favorite hole here. It’s an uphill par-5, but you can see the green from the tee boxes. The fairway snakes right, then left, the right and then left again up near the green. 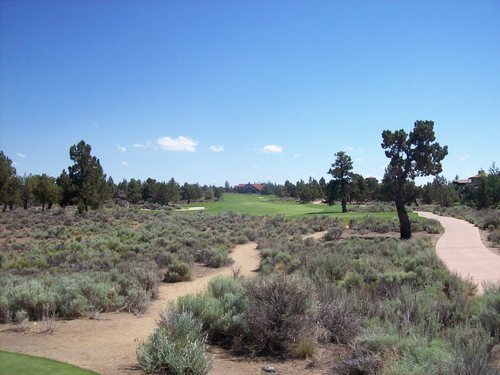 At each corner is a massive rock outcropping and sand trap to provide visual intimidation on each shot and force strategic play. It’s a really neat hole if you ask me. 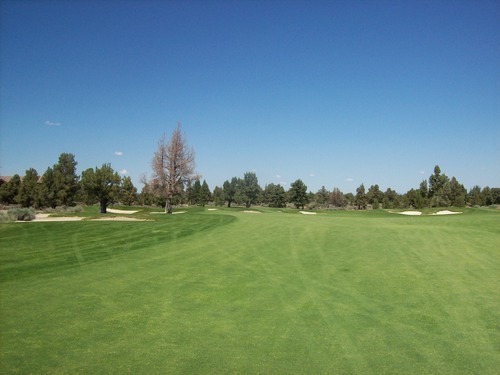 The course was in fantastic shape all around. 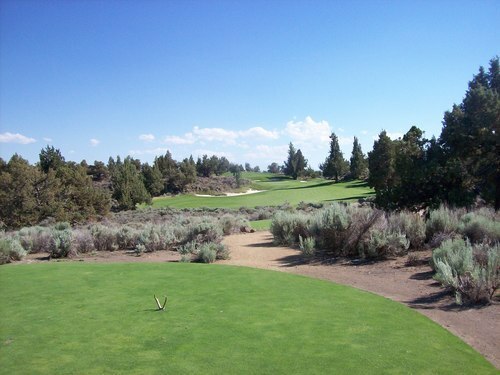 It was not quite as “immaculate” as the other courses I played so far, but that’s a tough measuring stick. 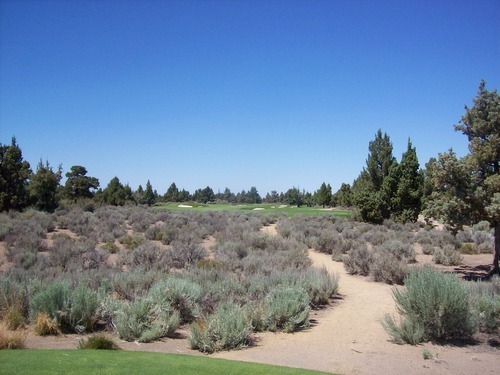 The types of grasses are different here and the weather is definitely harsher in this exposed part of the desert. 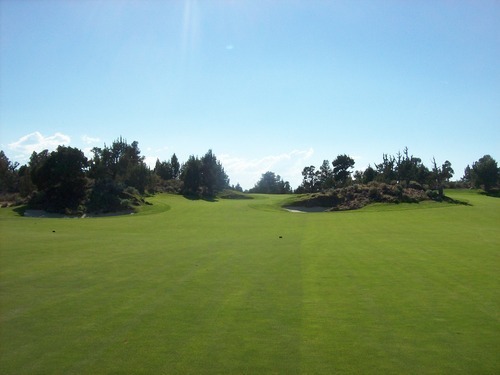 Still, the fairways were excellent, the rough was good and the greens were very nice. 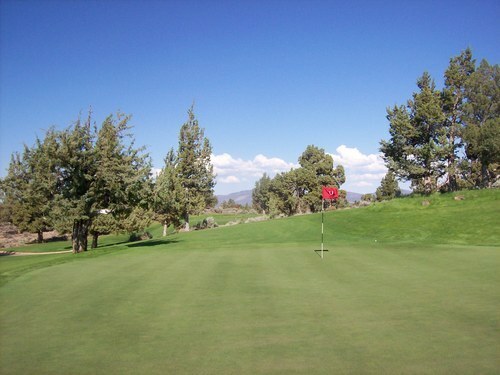 The surfaces weren’t as silky smooth as the others I played, but very true and fairly quick, as well. 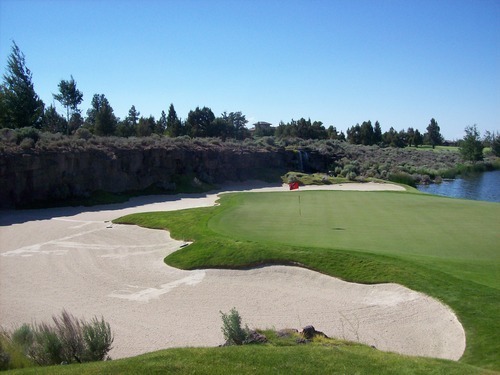 The bunkers had fantastic soft white sand. 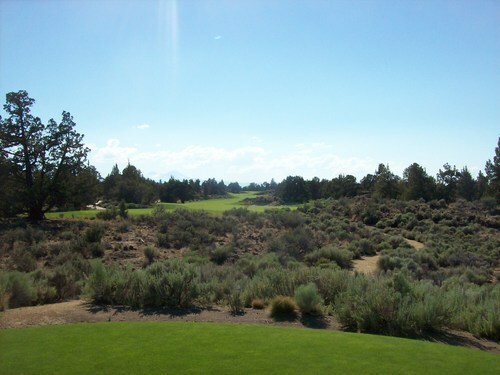 The back nine definitely won me over at Pronghorn, but I still wasn’t as awestruck as I wanted to be. It’s a very nice design with a great rugged desert feel. 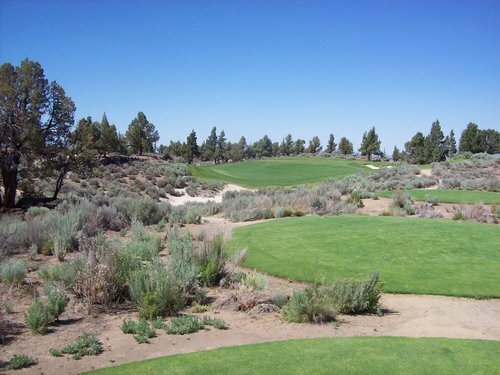 A handful of really standout holes and a few that kind of blend together. 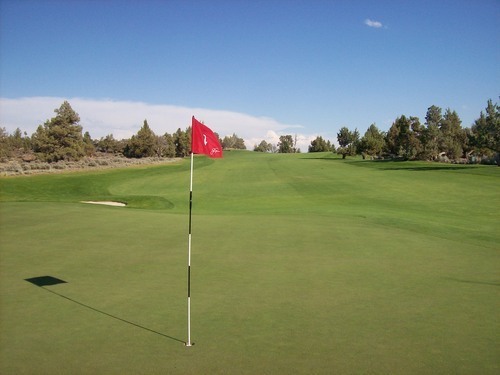 Don’t get me wrong, you will enjoy yourself plenty if you play this course and I would recommend it in a heartbeat if you are willing to spend the cash. I just wouldn’t categorize it as a must-play “bucket lister,” which is how I saw it in my mind when planning this trip. 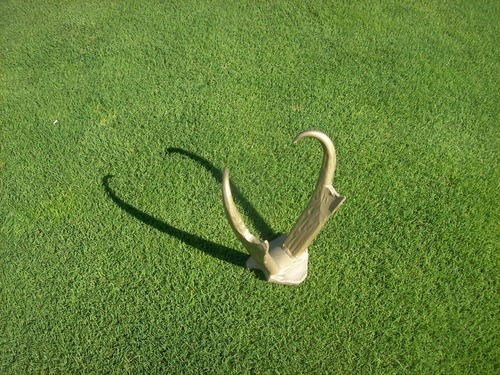 The tee markers are shaped like pronghorn antlers. In case you didn’t know, a pronghorn is an American antelope-like animal.